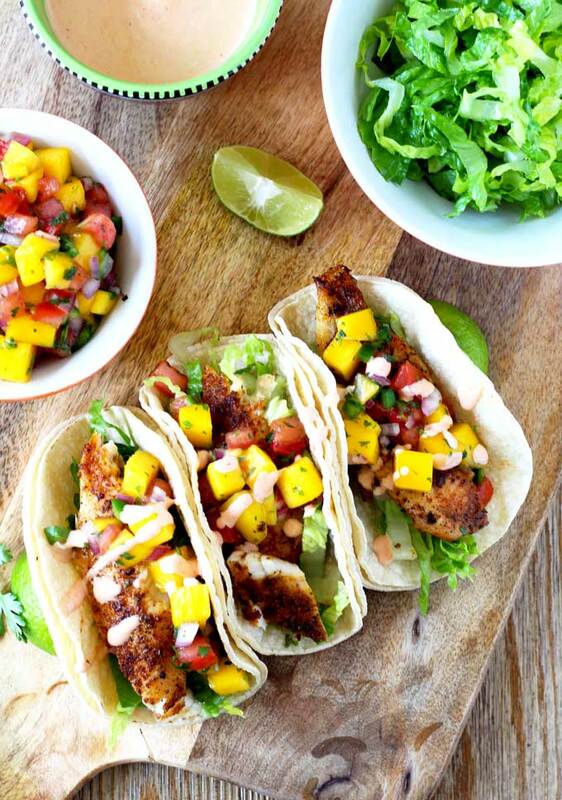 These Blackened Fish Tacos are full flavored, healthy and easy to make! 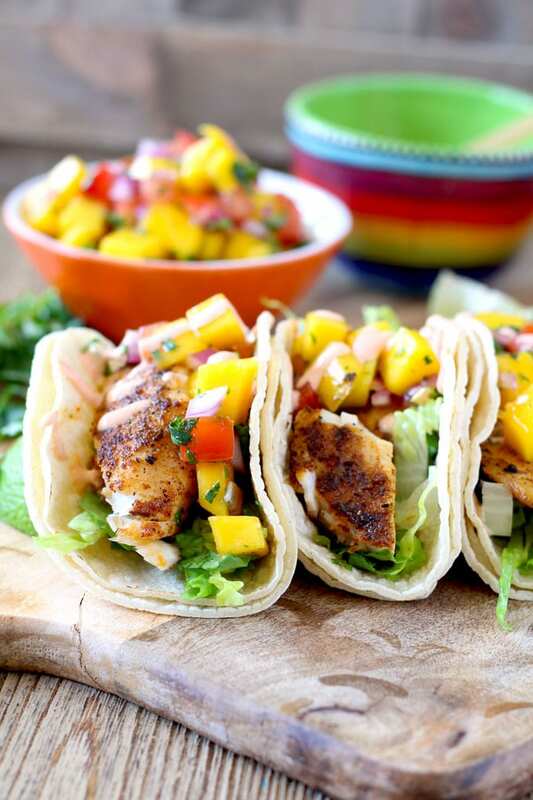 Fish fillets are coated in a Cajun inspired spice mix, served in warm tortillas and topped with a fresh and tasty mango salsa. Finish it with a drizzle of creamy sriracha aioli for the best fish tacos ever!!! Everyone knows that San Diego, California is famous for their fish tacos, especially their Baja Fish Tacos. 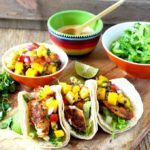 I love them too but I must admit, after one bite of these mouthwatering Blackened Fish Tacos, I can now say this fish taco recipe has become my favorite taco recipe! Blackened seasoning is a mix of spices very similar to Cajun seasoning. The spices in the blackening spice mix are common spices that I am sure you already have in your kitchen. Paprika, garlic powder, onion powder, cayenne, salt and pepper are used. The recipe provided below makes a small batch. You will have enough seasoning mix for this recipe and a little bit extra. Use the remaining seasoning mix to make this creamy and delicious 30 – minute Cajun Shrimp Alfredo Pasta!!! First, make the 3-ingredients Sriracha Aioli. Mayonnaise, sriracha and lemon juice is all you need. Adjust the heat level to your taste. 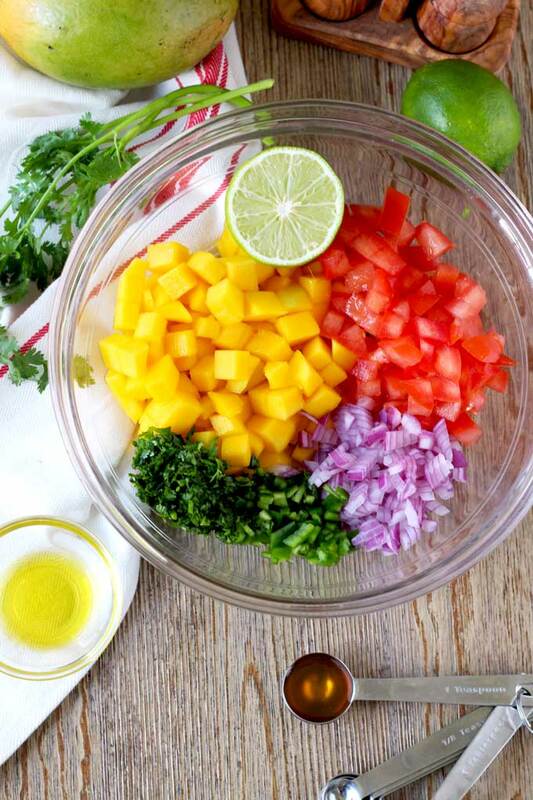 Next, make the Mango Salsa. 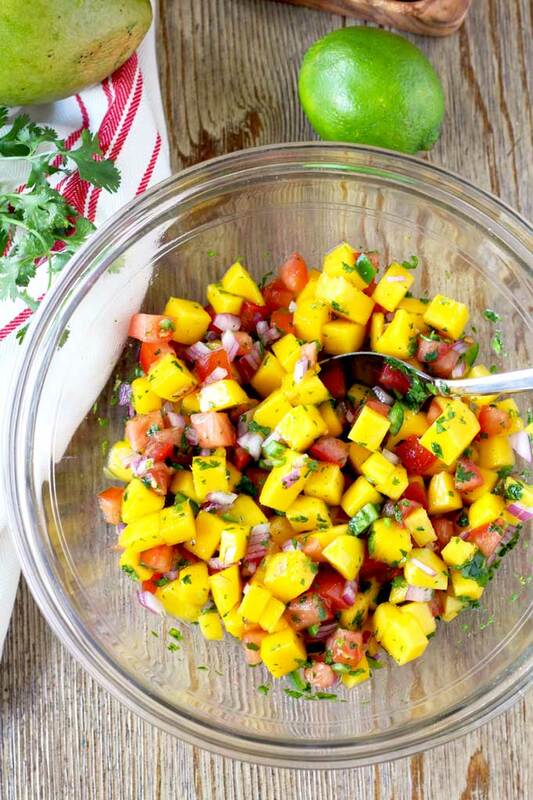 I like a simple mango salsa recipe. One that highlights the freshness and natural flavors of the fruit and the vegetables. Choose ripe mangoes. They do make a huge difference in the overall flavor of the fresh salsa. I also add a teaspoon of honey to bring out the sweetness of the fruit. If you can get your hands on any local honey, I highly recommend you get it. Did you know that local honey helps you get rid of environmental allergies? OK, back to the salsa! It’s delicious, simple and fresh. I could eat it by the spoonfuls! It’s also perfect for topping this quick and easy Tequila Lime Chicken and wonderful as a dip served with tortilla chips. Next, the blackened fish. Sprinkle the fish on both sides with the spice mix and give it a quick rub – you want the spices to really stick to the fish. Cooking the fish takes very little time. Place the fish on a skillet with a bit of olive oil and let it cook for about 3-4 minutes on the first side. Do not move the fish around. Just let it be. The spices will start to blacken. Flip the fish and let it cook for another 3-4 minutes. Time varies depending on the thickness of the fish fillets. I use a trick I learned at restaurant kitchens to taste the “doneness” of the fish. It sounds a bit “out there” but works every time!!! Have a toothpick, or a small and thin wood or metal skewer handy. It has to be thin because fish is delicate. I keep a whole bunch in a drawer right next to the stove to use every time fish is on the menu. To test, insert the toothpick or skewer in the flesh of the fish – you don’t want to do it in the thinnest part of the fish, just somewhere in the middle. Remove the toothpick/skewer and quickly place it on top of your upper lip (somewhere between your upper lip and the base of your nose). Do it carefully! You are testing temperature so it may be hot. If the toothpick/skewer feels cold, the fish is not ready, keep cooking it. If it feels warm (like a nice and comfortable water bath ) – then it is perfectly cooked and flaky. You can remove it from the heat. If it’s hot but not burning, – remove the fish immediately. It may be a little dry but there’s still hope! If its too hot – you don’t even touch your skin and it feels hot – then it is overcooked. Oops! We have all done it! Smother the fish with some sauce or salsa and it won’t seem so bad. Let me just say I’ve been doing this test for years and I have to be careful every time. The upper lip area is sensitive – that’s why the temperature test works. Have I ever burned myself? You better believe it! Never a serious burn, nothing painful or long lasting. Am I telling you to test fish this way? Nope. I am just saying it works and that’s how I do it! 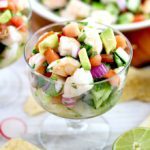 What is the Best Fish for Fish Tacos? Any firm white-flesh fish works for this Blackened Fish Tacos. Mahi mahi, cod, tilapia, halibut, grouper, and flounder work well. If you are pressed for time, you can use store-bought blackening seasoning however, I highly recommend making your own mix. 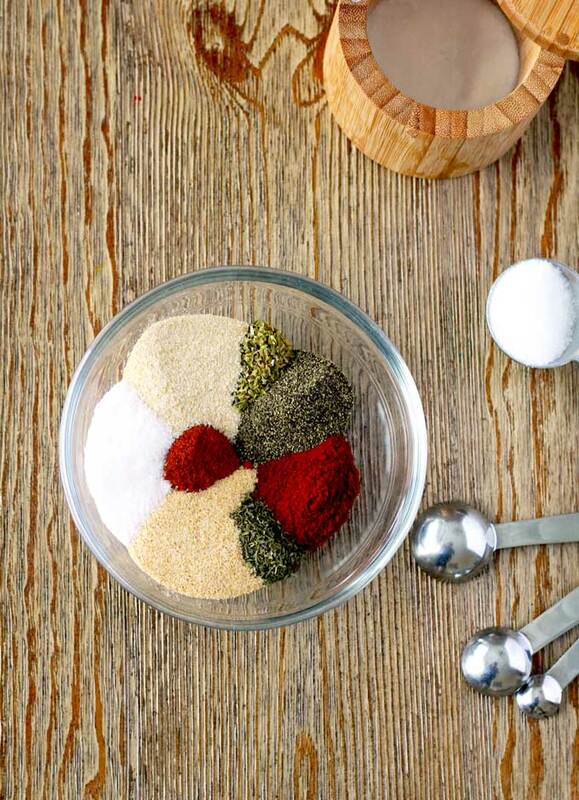 The extra spice mix can be stored in an airtight container and will keep to up to six months. I use plain shredded romaine lettuce as a topping for these tacos but this Creamy Cilantro Lime Coleslaw is a great option as well. Warm the corn tortillas either on a pan, a grill or in the microwave wrapped in damp paper towels. Add these delicious dishes to and make it a fiesta! 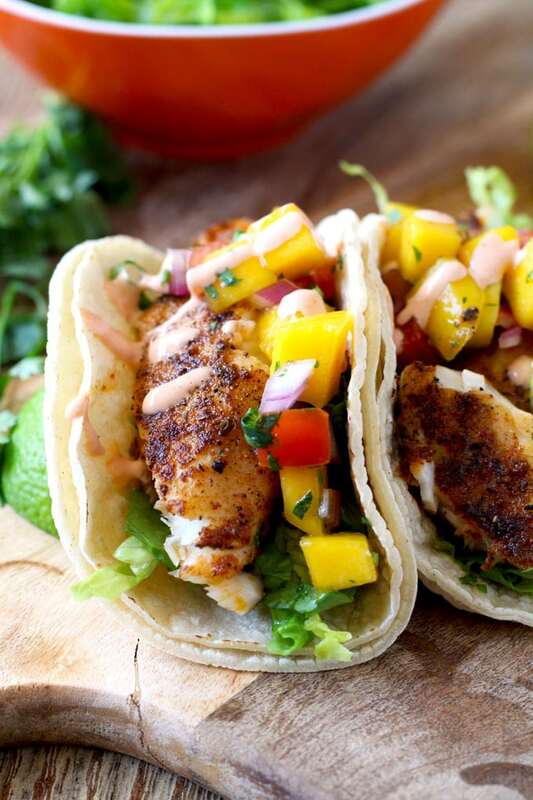 WANT TO TRY THESE BLACKENED FISH TACOS? PIN IT TO YOUR MAIN DISH OR DINNER BOARD TO MAKE IT LATER!! In a small bowl, stir together all the ingredients. In a small bowl, combine the mayonnaise, sriracha and lemon or lime juice. Mix well. Refrigerate until ready to use. In a medium bowl, combine all the ingredients. Season to taste with salt. Cover and chill until ready to use. 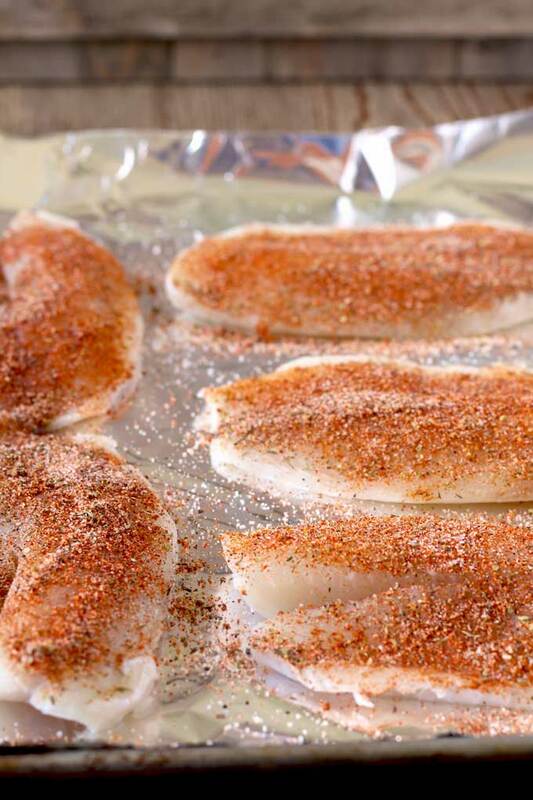 Place the fish fillets in a single layer on a sheet pan or large container. Sprinkle the fish on both sides generously with about 2 1/2 to 3 tablespoons of the blackening spice mix. Rub the fish with the spice mix. In a large nonstick skillet, heat 2 tablespoons of olive oil over medium-high heat. When heated, add the fish fillets, working in batches if needed. Cook for 2 - 3 minutes. Flip and cook the other side for about 2 - 3 minutes or until the fish flakes easily. (When cooking the fish fillets do not move them around). Remove the fish from the skillet into a serving platter. Break up the fish into smaller pieces that will fit into a small corn tortilla. Warm up the corn tortillas. 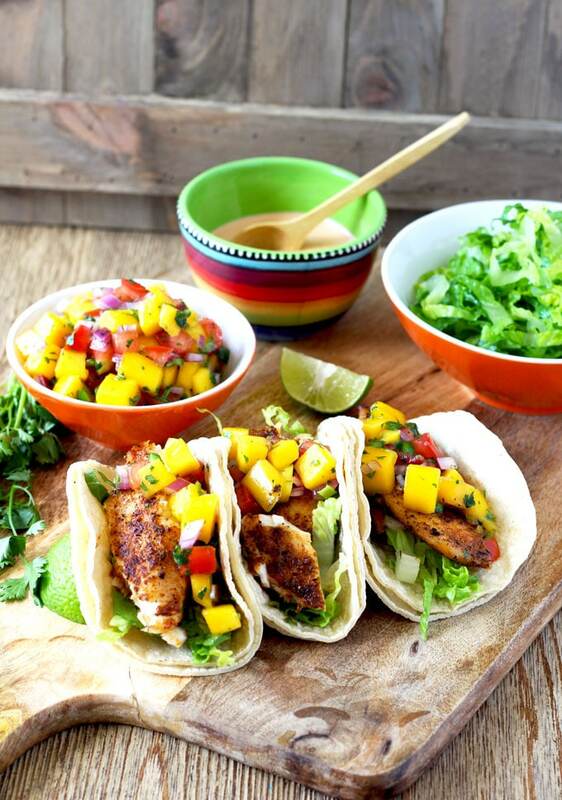 Top each tortilla with shredded lettuce, blackened fish, mango salsa and drizzle with the sriracha aioli. Enjoy!!! You will have some Blackened Spice Mix left. Use it to season chicken, shrimp or fish. It will keep for at least 6 months. Too much salt, definitely needs to be taken down. Otherwise delicious. B, I am sorry you find the recipe too salty. Sometimes store bought seasonings contain too much salt. Thank you for the feedback. So glad to hear Nicole. Thank you for the feedback! Thank you for the recipe and tips Kathy! I will forever use your toothpick test for cooking fish 😊 I agree that the blackened seasoning was too salty for my taste but we will definitely be making these over and over again! Thanks Tammy. Some commercially sold spice mixes contain more salt than others for sure. 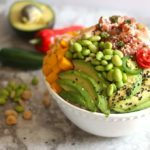 These came together so quickly, it was an easy way to entertain a bunch of us with a healthy yet super filling meal! My husband asked if Id be sure and make it again …. really soon. Cant beat that for a rave review! So happy to hear! It is a great quick and tasty dish for entertaining! The best part is everyone get to make their own taco! This was delicious. I’ve been using your toothpick trick for testing fish. Now I look like an expert! My fish is always perfect. OMG!! This is so good! I used fresh grouper and ate it without the tortillas (low carb). Wow, wow, wow!!! And added a little lime zest to the salsa. It was awesome. So glad to hear! Thanks for sharing! I loved this recipe. I didn’t do the taco style but made Bowles with rice, beans, and lettuce. No sauce just fresh avocados with fresh lime juice. Going for a second round tomorrow night. Thanks for the recipe. You are welcome Libby! I often serve the fish over salad, potatoes or like you did in a bowl. Yum!! 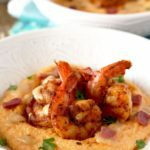 Loved this recipe, however it was on the spicy side and my kids weren’t too happy about it being spicy. I, on the other hand love spice so it was good for me. My Sriacha was on the older side so I subbed a locally made red pepper hot sauce for the aioli, and that worked fine. I’ll have to tweak it a little more next time by adding less cayenne but I really did love these tacos. OMG loved this recipe! Added avocado to the salsa, used fresh caught halibut but it was the Siracha Aioli that absolutely made this dish spectacular! Added garlic to the aioli cuz, well, aioli has to have it! Dreaming about making it tomorrow! Well done!